Disappointed with your Acne treatment? Here’s what to do. You’ve been diligently using your acne treatment medication every day, but you’re still breaking out! In fact, it seems like every day you wake up to a new pimple (or three or four). Why aren’t your acne treatments working? Acne’s are usually negligible but when they are more frequent and alarmingly increasing day by day, you resort to treatment soon. These treatments might be either topical antibiotics or antibacterial creams, retinoid, oral antibiotics and other costly treatments like laser treatment, light treatment, chemical peels and to high extend even surgeries. Once you start treatment it takes 12 weeks to start showing a change. Tried some of these and still no change? Well, you just took things into your hands and failed miserably. Acne is not something you get to treat on your own so easily. Your problem needs to be studied deeply and a customized treatment must be given to you. You’ll still get breakouts in the initial days of treatment. It reacts first and then subsides. There is nothing to be worried about if you are doing it the right way. 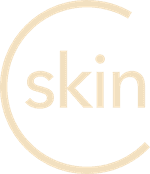 With a good set of Dermatologists on board, CureSkin can solve that problem of yours. You just need to give your mind and body into it and believe in it. Most acne treatments are risky and have side effects. And even if it’s a prescribed treatment you still need to follow it accordingly. All these and more is given to you by CureSkin and you have the power on your fingertips. With CureSkin it is possible to detect and prevent skin damage at an early stage. Skin specialists and expert Dermatologists at CureSkin analyse your condition and curate a treatment regimen suited for your skin type to give you the best results. Your skin needs to be pampered the way you pamper your family..Get the best treatment for your Acne now!